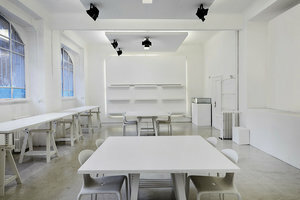 This pristine 200 sq m venue in bustling Downtown Milan is ideal for high-end Showrooms, Private Events and Corporate Off-sites. 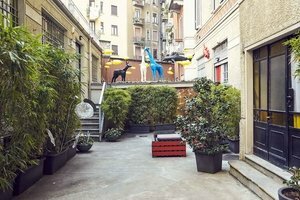 There is also a lovely courtyard with a private entrance to the space. The interiors here are ultra modern and largely white. 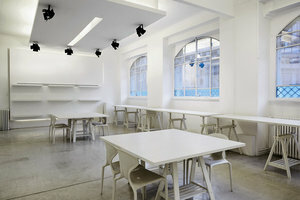 The space has an incredibly bright atmosphere with large windows and contemporary spotlights. 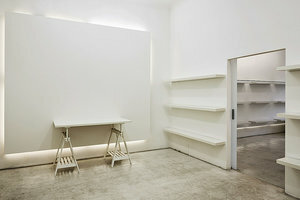 There is a range of furniture which makes this space adaptable and able to accommodate a range of event types. This space is surrounded by a diverse range of neighbors including popular retailers, restaurants and hotels. It is easily accessible and a great opportunity for organizations, creative individuals and businesses to impress with a private event, meeting or showroom.